Please tell us about Railed Express and what it’s all about! 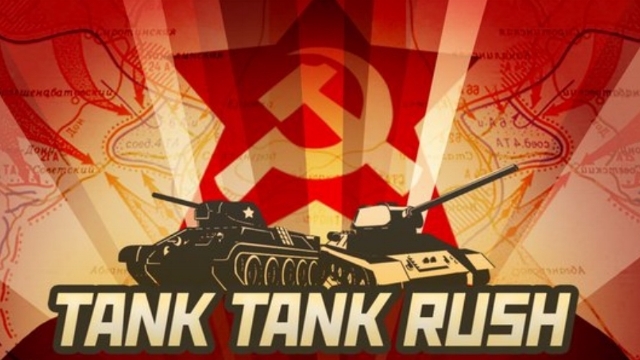 Where did the idea for this game come from? How and on what platform can you play the game? How long have you been working on it and how did you get into game development? What part does music play in the game and what do you think of it’s soundtrack? What’s your plan for the game and after it’s release? Ninichi is a freelance video game music composer & big supporter of indie games. If you need help with the music for your game or project, contact me now to explore how we might work together. What is Calico all about? Who’s it for & where did the idea come from? When will we get to play it? ‘If funded, we expect to release some time in 2020, but for those a bit more impatient we have a demo releasing along with the Kickstarter! Check out our Kickstarter page to see how to download it. Tell us about you! Who’s been involved in creating this wonderful game? ‘Calico is the first game being produced by CatBean games! We're a small team of only two people based in Seattle, WA. The first half (me) grew up in NYC and then Minnesota, coming to Seattle 5 years ago for the game dev scene. Before this, I worked as a freelance illustrator, as well as a community manager at various companies including Microsoft and Holospark. Our other half, Andrew, moved here to Seattle from Illinois and previously worked as a programmer. He switched to learning Unity programming, and is the more technical half of our team. We've also been working with a few incredibly talented individuals for areas that the two of us can't cover. 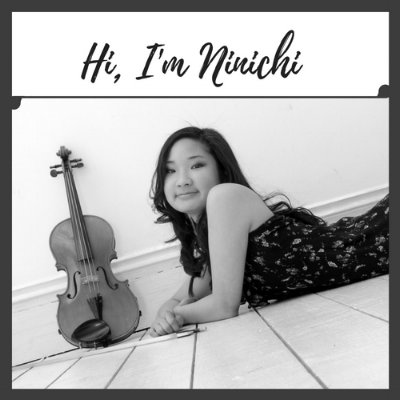 Freelance Composer Ninichi (ninichimusic.com | @ninichimusic) is our music magician, creating adorable music to to go along with adorable visuals. Why have you launched a Kickstarter & what are you hoping to achieve from it? Why should we support you & what rewards are on offer? ‘I hope that anyone who is like me and has wanted a game like this to exist for a long while will find everything they wanted in Calico. I believe we need way more cute and cozy games, and hopefully people agree! What are your plans after the Kickstarter? ‘Our first plan is a little self reward. We will be donating to the Woodland Park Zoo in Seattle, WA for the chance to get up close with a real Red Panda! Wow awesome! Thank you so much for sharing everything with us. I wish you the very best of luck with the Kickstarter. 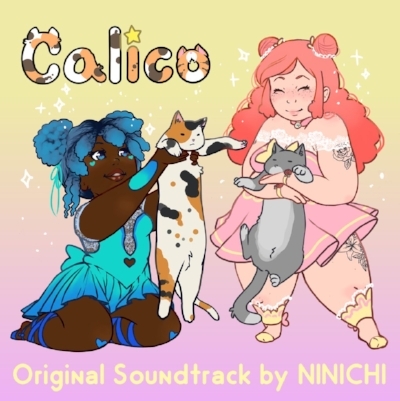 Everyone please show your support for this heartwarming game now by visiting calicogame.com! What kind of game is Arty Swirly Colourful? Arty Swirly Colourful is a beautiful exploratory game created by the talented game development team at Owl Sanctuary Studios. It’s a narrative driven game where you take on the character of a photographer sent into a stunning park – the ficticious Green Bay National Park, where you are tasked with taking photos. These photos are meant to recreate a series of paintings created in the park 100 years previously. The game is set in a beautiful world populated with interesting wildlife, park rangers and other people to talk to, amazing surroundings and more. The music therefore is designed to reflect the gentle and calming nature of the surroundings as well as the emotional journey that one takes through the different areas of the park. The main mood for the music and for the game is that it is relaxing and soothing. The team at Owl Sanctuary Studios were very clear that they didn’t want any heavy electronic sounds and that they wanted a relaxed yet fun vibe. Playing the game and moving through the park is meant to be a chilling and gentle experience and so I’ve tried to make sure that the music supports this. The first set of tracks composed for the game, are designed for the summer scenes. There are plans to build out the soundtrack further as the game develops and grows but for now we have focused on making the summer tracks fit the various settings and areas within the game. What are the different game music tracks? Swirly Summertime – which is meant as a track for the daytime in summer, within the game. It’s therefore on the cheerier side yet still calming and soothing to listen to. Summer Sunset – is at that beautiful shimmery time of day, when the light is it’s most beautiful. This is important for the photographer / player of the game and so hopefully the music reflects this sense of beauty. Open Terrain – is meant to feel more airy than the daytime Swirly Summertime track. Who knows what you’ll find in the open areas! It’s a mystery but a fun one! Forest Trees – is a track that would play when you’re in the forest terrain. Here, I was trying to blend a sense of magic, mystery and calming quietness. Have a listen to them and see what you make of them! Hopefully you’ll find them just as relaxing as the Owl Sanctuary team do! About the author: Ninichi is a freelance indie game composer and music enthusiast. She has composed the soundtracks and music to several indie games. Contact her: to explore working with her on your game, film or media project. I ran a poll on through my Twitter account (@ninichimusic) asking what people might like to see more of on my blog. The top votes went for ‘Updates on my music’ and ‘Game music tips’. So, I’ve been thinking about what I can share about the music I’ve been working on and here is the first blog of hopefully a series of them, which offer a little bit more insight into the game music and other music projects I’ve had the privilege of working on, and how they’ve come together. I’ve also done several interview style blogs, which have generally been received well and so although it may be a little strange interviewing myself – I’m going to use that kind of format to hopefully make these easy and fun to read! So here’s goes my first one! Shakey’s Escape is an adventure game about a cat, Shakey whose owner kicks him out of the house and from there on, your journey begins! You wander the streets coming across various puzzles, villains and much much more. It’s a game developed by Smashing Pixels, also known as Doobly HQ. Earlier on last year I wrote an article taking a closer look at the game just as it was about to launch: Introducing the Game: Shakey’s Escape. It’s now available on Android and i0S and is free to download. For the main menu track I tried to create a dreamy feeling. It’s when Shakey the cat, is snuggled up by a lovely, warm fireplace. In the music I tried to make it feel cosy and relaxed, and I think that the harp helps greatly in achieving this. A lot of the game music that I composed for this game fall into this category. This is because the bulk of the game is when Shakey is exploring different places. There’s sneaking, discovering, playing, jumping, getting into trouble in lots of different ways – and I tried to reflect this in the music. Since Shakey has just been kicked out by his original owner, everything that he sees and discovers through the various levels of the game is a new experience. So, there are elements of danger, mystery, uncertainty and cautiousness in the music too. A few things that you may notice when you listen to the game music, is that a lot of the soundtrack is in a minor key and I’ve chosen to use a lot of pizzicato strings. To me, that was a way to create that sneaky, jumpy, cat-like feel. As one may expect, there are some fights in the game! Shakey’s adventures aren’t all just wandering around and discovering new things. There are villains that cross Shakey’s path and that must be dealt with! So, for the levels and sections where there is more action taking place, the music becomes more intense to reflect this. 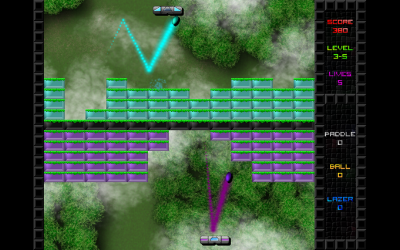 You may also notice that the music style changes as you get to the higher levels. It becomes more energetic, urgent sounding and retro. These are the tougher levels, which are much more difficult to get through and everything that Shakey is experience is really out of his comfort zone e.g. trying to fly a helicopter! The music, therefore, is more intense and faster to reflect this. What did I enjoy most about working on this soundtrack? Shakey’s Escape is the first original soundtrack that I’ve released and so I’m really honoured to have worked on it with Rob, the developer of the game. It has been such a fun and rewarding journey to see the game develop and the music develop alongside it. I saw lots of clips of the game as I worked on the music for each level of the game. That really helped to give me an idea of what I needed to make the music work well with, and it was also just really stimulating and fun to see how the game was coming along. By the time we finished working together, I couldn’t wait to see the full game released! It has been really well received so far and I just hope that the soundtrack does the game justice and gets just as well received as the game itself! Is the soundtrack available and what’s next? Yes indeed it is. Shakey’s Escape OST is available on bandcamp now. In terms of what’s next for me – well, I’d love to do more game music soundtracks as well as other music projects. So, if you need some help with your game music soundtrack, let me know (i.e. contact me here)! I’d also love to release more of the soundtracks I’ve done and sharing more blogs/information on them too, so watch this space!